​€100 per course - To join the waiting list please send an email by clicking on the link below or find us on Facebook. 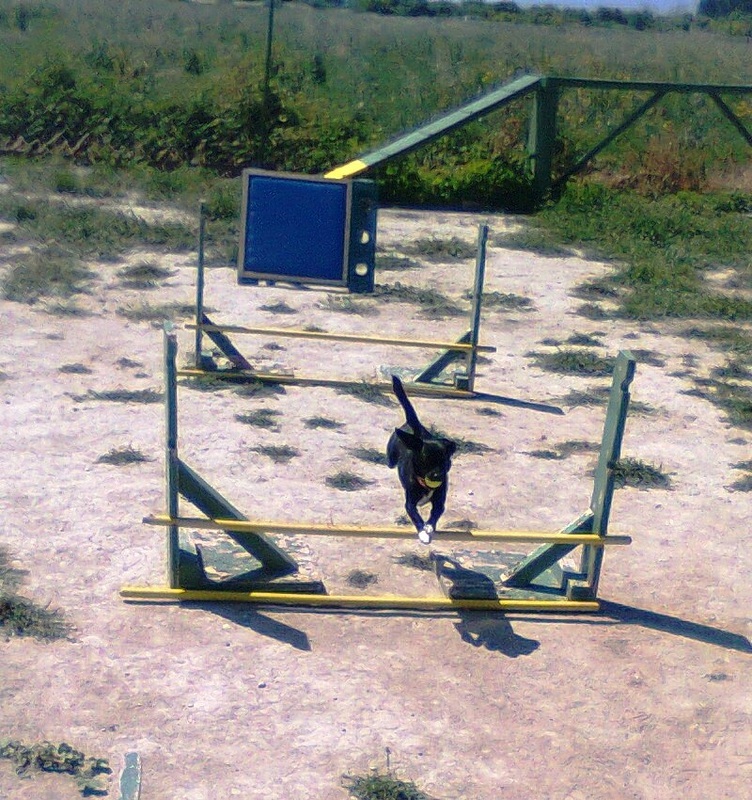 A fun and lively class involving jumps and obstacles which will both tire your dog and stimulate his brain. Great for burning the energy of a lively dog, building the confidence of a shy dog and improving the bond between you and your dog. 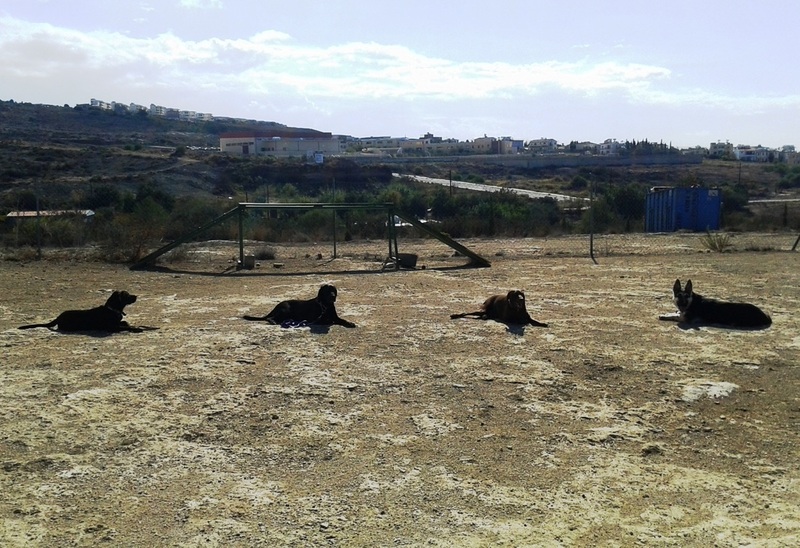 An obedience class with a difference! 6 week course, 1 session per ﻿week﻿. Course capped at 8 dogs. For dogs and owners of all ages. 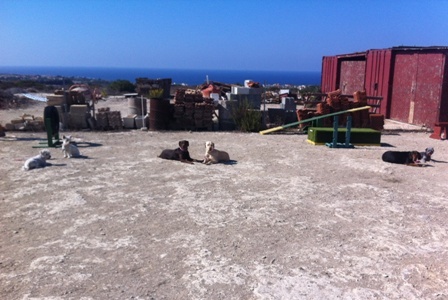 Basic obedience & general manners taught using kind, rewarding methods. 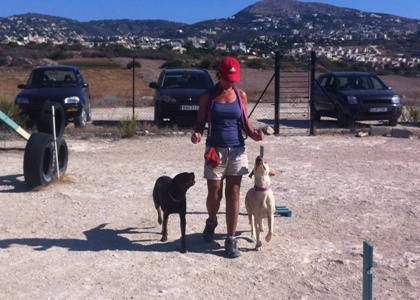 Areas covered include approaching other dogs calmly, greeting people politely, walking nicely on the lead & leaving titbits left on the floor (very important in Cyprus), as well as the basics of sit, down, stay and recall. 6 week course, 1 session per week. Class capped at 8 dogs. For dogs who have either completed the Beginners Obedience Course or who already know the basics of sit, down, stay and recall. This course is designed to improve and perfect the basics your dog already knows, combined with longer and harder stays, longer distance recall, off lead work, more group exercises & training with distractions. 6 week course, 1 session per week. Class capped at 6 dogs. This course pretty much does what it says on the tin. 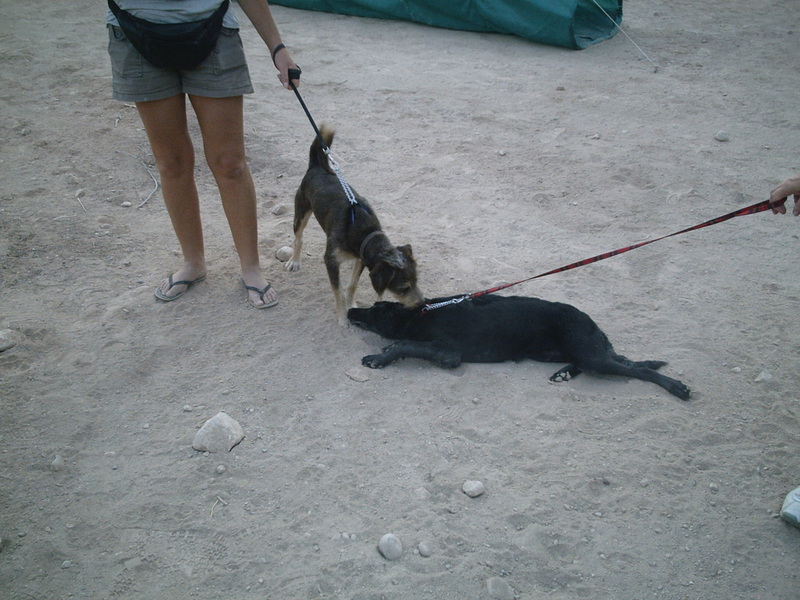 Its taking the obedience your dog knows up to an advanced level not usually seen in a pet dog. It’s a difficult and demanding course and will require a lot of work from you at home in order to achieve what’s covered. The lessons will be conducted entirely off lead and will involve some great challenges including out of sight stays, difficult recalls and lots of group exercises, aswell as lessons in 'real time' environments to really test your dog’s obedience with natural distractions around. This course is a great way to stimulate your dogs brain and improve the bond between you both aswell as the obvious behavioural benefits. In order to enroll onto the Advanced Obedience Course you must first have completed the K9 Solutions Intermediate Obedience Course. For those people with two dogs who would like to learn how to train and control both of their dogs at the same time. 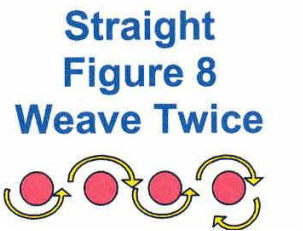 This course has proven to be a great success, but it isn’t as easy as it may sound. Unlike most of my courses, this is a course more for the handler than the dog as I teach you to dual handle and multi task with your dogs. A very useful course. 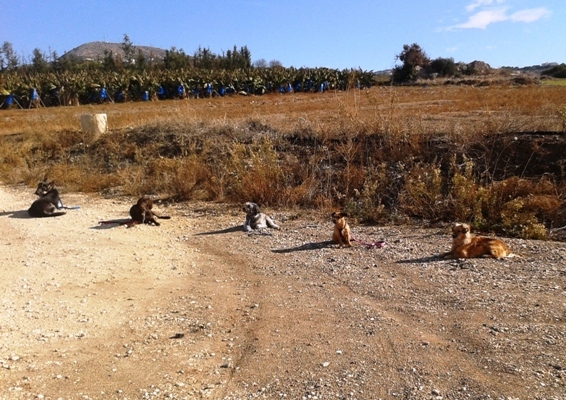 In order to sign up for the Dual Handling Course all dogs must have completed the K9 Solutions Beginners Obedience Course. Do you have a dog that needs more stimulation than just walking? Find obedience training boring? Or just want to have some fun and form a better bond together? Well, I am pleased to be able to tell you that I have now devised a new training course which will tick all of those boxes and more. 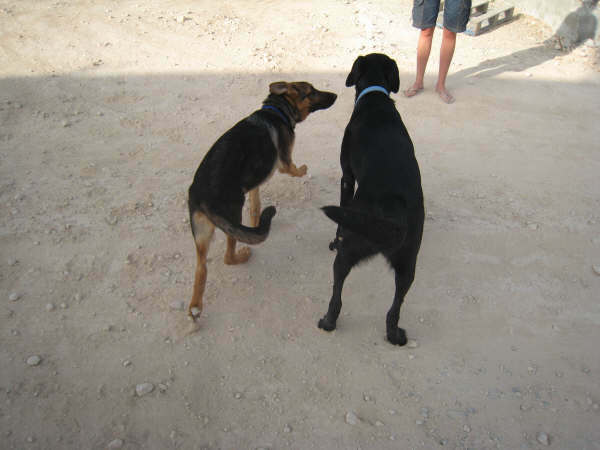 The Heelwork To Music Course is my latest idea to improve your dog’s behaviour and have fun at the same time. The 6th week of each course you will have to perform your finished routine in front of a panel of judges and will get scored on various categories, such as music choice, technical ability and entertainment value. The double act who impresses the judges the most and comes away with the highest score gets a certificate and a rosette for their trouble! This is a very intensive course and will require a lot of effort, but I can’t tell you how much fun heelwork to music is and how rewarding it will be when you manage to turn your dog around in just 6 weeks. It takes the seriousness out of obedience!!! A fun and energetic course for those of you with dogs who love playing with toys. Flyball is famously demonstrated by Border Collies at dog shows such as Crufts but is great fun for any breed of dog with a lot of energy & a playful nature. 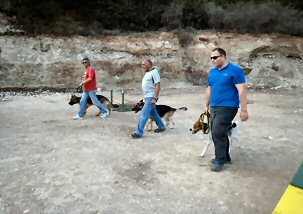 This course is both mentally & physically stimulating for your dog with the emphasis firmly on you having fun together. The rules are simple. 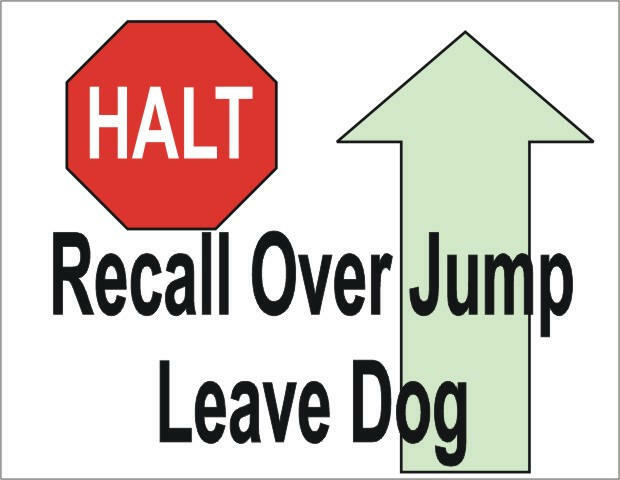 You need to teach your dog to jump 3 jumps in a straight line, retrieve a ball from the Flyball box & return to you over the same 3 jumps. You can't accompany the dog & if he drops the ball or runs round the jump he loses points. A lot harder than it sounds! 6 week course, 1 session per week. Class capped at 6 dogs. €100 per course - To join the waiting list please call or send an email by clicking on the link below. Rally Obedience is the latest doggy trend sweeping America. In short, the dog and handler must complete a course of designated stations (approximately 10). All the stations are numbered & each of them has a sign providing instructions regarding the next skill that is to be performed, such as ‘Halt & Sit Down’, ‘Left About Turn’ or ‘Down & 10 second Stay’. Scoring is not as rigorous as traditional obedience and the emphasis is put on a smiling owner and a wagging tail. Infact, with Rally Obedience points are actually deducted for harsh commands or over excessive force because the whole point is that it’s a relaxed obedience contest where anybody, even kids, can enter and just enjoy doing something with their dogs. 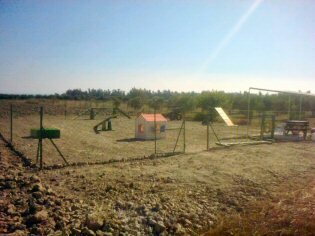 The Rally Obedience Course will gradually, week on week, increase the difficulty of the obstacles and the ability of the teams. The final week will be a full 10 obstacle course, scored seriously and the winning team will go home with a rosette.